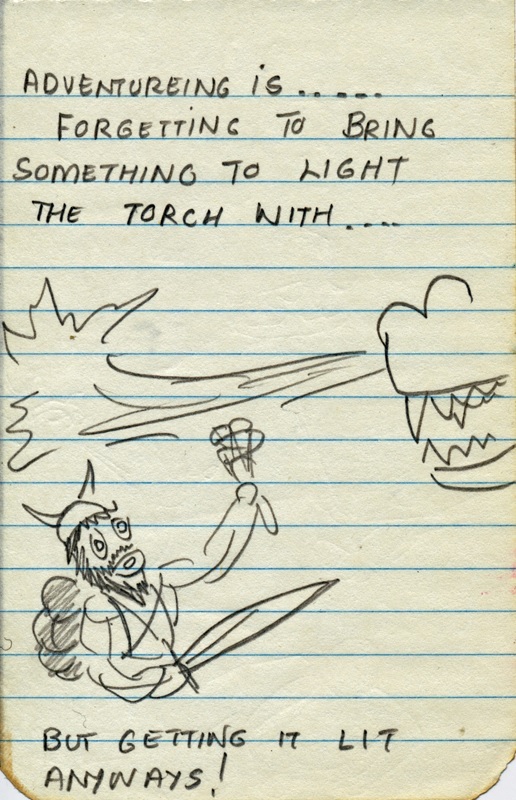 Arneson had been drawing cartoons for the Domesday Book and Corner of the Table long before the release of D&D. 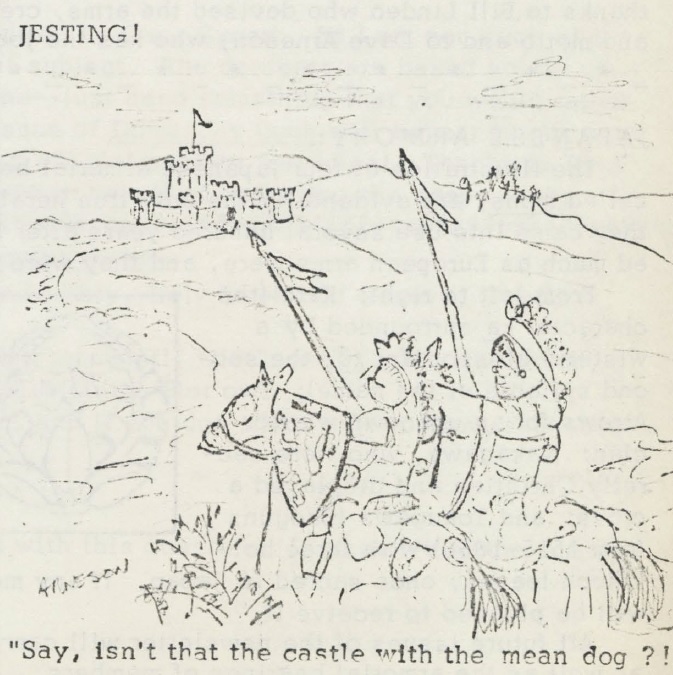 Here is a 1970 cartoon of his from Domesday Book #4, one of the few he has signed with his name. Any chance of seeing more of these? Please don't keep us hanging, where can we see the rest of the cartoons? 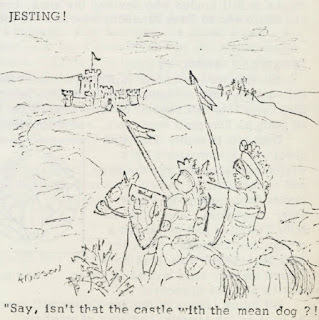 That mean dog cartoon is really amusing.